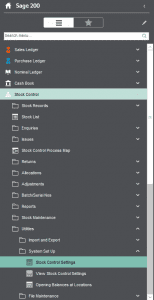 Within Sage 200 under the Stock module within Commercials you are able to write off stock items. This blog is going to run through how you can carry out this action. 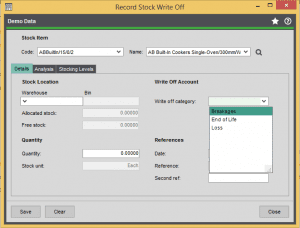 Within the Stock Utilities you can setup write off categories so that it is easier for the companies management to report on why you are writing the stock items off. These could be for a number of different reasons, breakage, loss or due to obsolescence. You can set up all of the ones that are applicable to your business and as detailed as necessary for your reporting requirements. From a management reporting point of view this can be very helpful to work out what actions need to be taken to reduce the amount of stock being written off. As writing stock off is probably costing the company a lot of money. The companies management can amend processes or procedures. 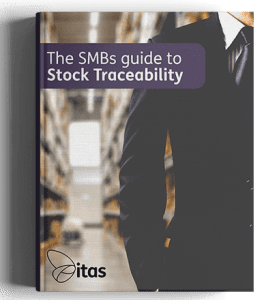 To actively reduce the amount of stock that is broken or lost within the warehouse or reduce the amount of stock they hold for items that have a longer shelf life. They could look where possible to have these items being available from Supplier via stock or direct to customer rather than have them sitting on a shelf. Thus reducing the amount of stock that has come to the end of its useful life that you are now not able to sell. Stock management should be a top priority for companies that hold stock. As it will be a critical point in knowing whether you have the right stock to fulfil customers orders in a timely manner. 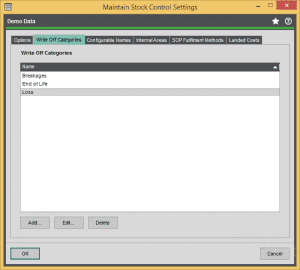 Once you have opened up the stock control settings you will need to select write off categories. You will then get the following window that will allow you to add the new categories. Once this window has appeared you can the add, amend or delete write off categories. Within the add or edit write off categories window you will get the following details to amend. You can set up the name of the category that will show in the write off drop down. You can also select the nominal code that the posting will go to. It defaults to the default nominal code for stock write offs (specified within Nominal Ledger- Utilities- Ledger Set Up- Default Nominal Accounts), so if you have more than one code for write offs, check that you have chosen the correct one. When all of your write off categories are setup these will show in the drop down when you go to write off stock items. 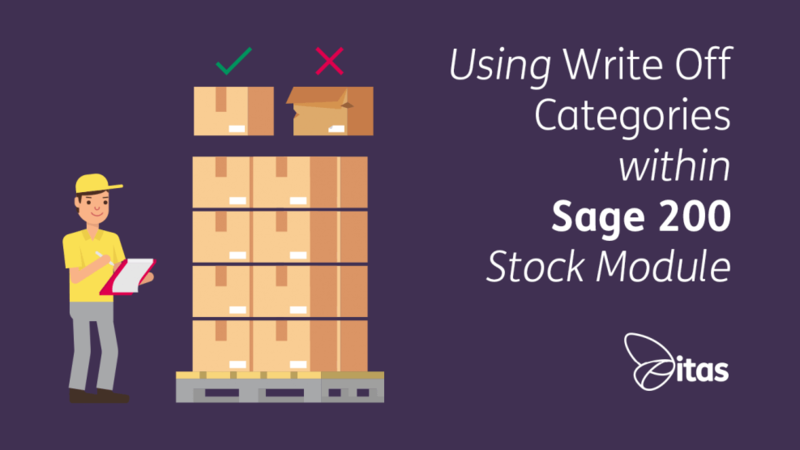 It is important that you use the correct category so that stock write off reports are accurate. If you would like run a report on what items have been written off then you will need to run this from the Nominal ledger. Then choose the specific nominal account number or name from the criteria on the account analysis report. If you would like to know more about stock why not listen to our Talking everything stock podcast with Hannah and Mark. Still wanting some assistance why not get in touch with one of our friendly team?